I love this quote because it focuses on what WE are going to do to make a difference not on the world. I have some missionary friends who were working at a home for children whose parents have been thrown in jail. Soon after working there, they discovered lots of corrupt activity that was happening with the leadership. And they were getting nowhere with the reports that they filed to get the leadership removed. They could have easily been overwhelmed by this corrupt world but they didn’t focus on that, they focused on God’s amazing power and those precious children. As a result, they are now opening up a home for children founded under Christian values and beliefs. I am so very thankful that they were not overcome by the corrupt world we live in but that they pressed on, making a difference! I recently wrote an article for Quirky Momma on how we can empower our kids no matter what age, to serve others. I shared this Bags of Joy activity, a quick act of service you can do for those who are not necessarily poverty-stricken but just need some affirmation and kindness in their day. You can also get some free Bags of Joy Tags printables to go with your project! In the Simple Summer Issue, I shared on our Operation Brown Bag (pg32-33) project our family does throughout the year for street children. 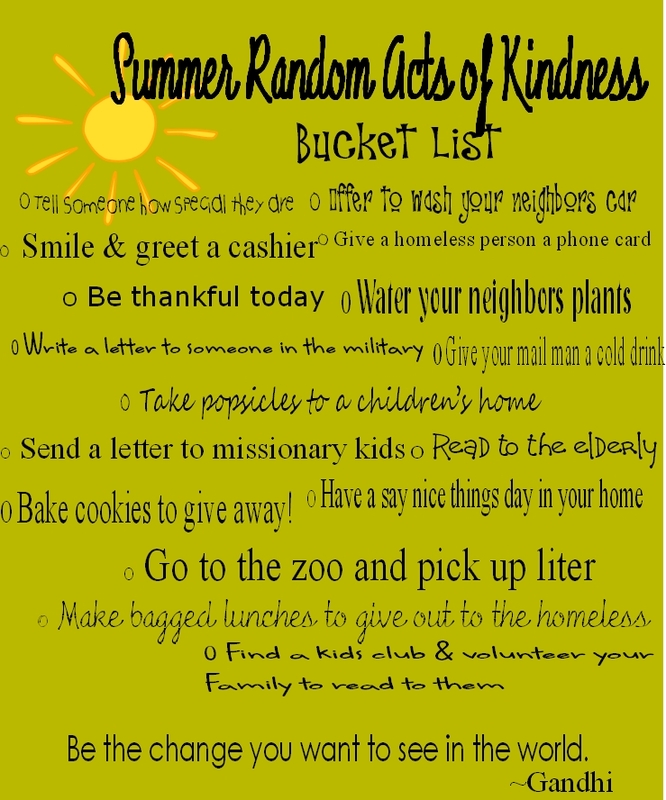 Another idea, I shared is the Random Acts of Kindness Coin Jar that you and your family can do or you can use this in your classroom if you’re a teacher. Enjoy our Spread the Joy Summer Activities and making a difference right where you are! This is such a great idea! I love that Gandhi quote! Thanks, one of my favorite Gandhi quotes. Thanks for this post! We need lots of ideas this summer and are eager to follow up on several you have here.